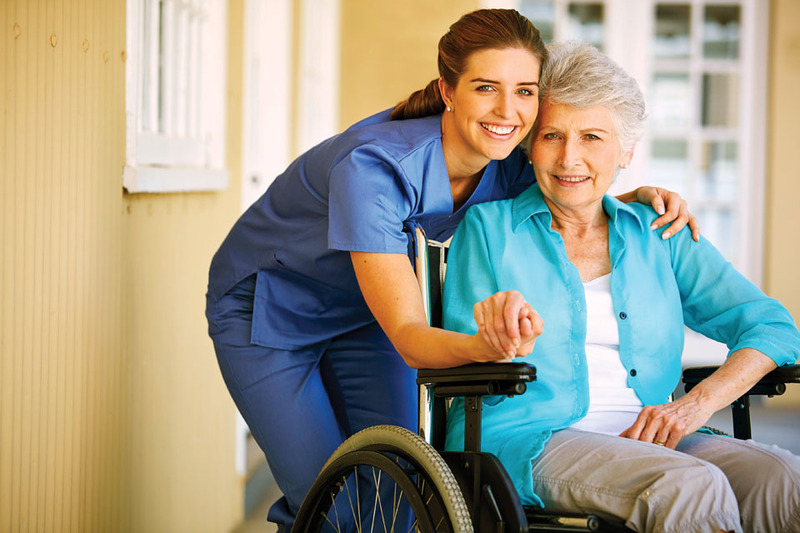 ▲ Hospice of Chattanooga care is personalized for each patient. Hospice of Chattanooga is the oldest, largest, and most recognized provider of hospice services in eighteen counties in southeastern Tennessee and northwest Georgia. The organization provides a wide range of services for patients who have arrived at the end of their life journey as well as support for the families who assist them during that difficult time. Those services are provided in the patient’s community by people who are their neighbors and friends. It was in 1981, shortly after the concept of hospice was introduced in the United States, that Hospice of Chattanooga began as an all-volunteer organization in a small office in the Hamilton County Health Department. At first serving patients at Memorial and Erlanger Hospitals, the organization and the demand for its services grew rapidly after President Ronald Reagan led the effort to have hospice care included as a benefit paid by Medicare. Today, Hospice of Chattanooga lists almost 300 employees who serve thousands of patients each year. Most patients are seen in their home setting while several hundred each year choose the Hospice Care Center, now located downtown off Third Street, in space provided by Siskin Hospital. 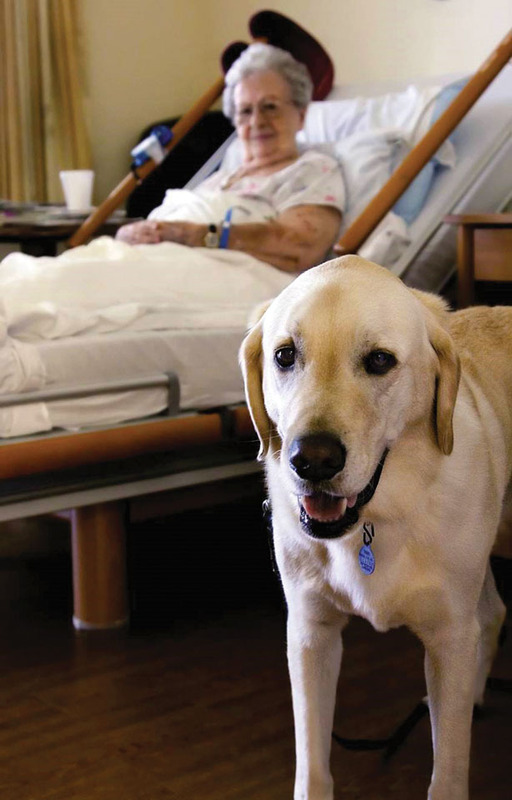 Pet therapy brightens a patient’s day. The caring professionals at Hospice of Chattanooga understand the physical and emotional issues confronting patients who have been diagnosed with health issues that are likely to result in death. They provide regularly scheduled visits to the patients’ homes by a registered nurse with expertise in end-of-life care, as well as a physician. Each patient also has a certified nurse assistant available to help with many personal care services such as bathing and feeding. In addition, the patient receives counseling, guidance, and support from a licensed clinical social worker. Hospice of Chattanooga is aware that the patient’s diagnosis is equally stressful for the families involved. Their team of professionals also serve the emotional and spiritual needs of the patient’s loved ones through services that include providing grief support and counseling for loved ones for at least 13 months after the hospice patient’s death. Hospice of Chattanooga also assigns trained volunteers to assist families with errands, light housekeeping and other needs. And a team of non-denominational Chaplains attend to the spiritual counseling requested by many families. While many people are aware of the services that Hospice of Chattanooga provides to the terminally ill and their families, some people in this region are just learning about the organization’s Palliative Care Services program which is designed for the chronically ill and individuals faced with multiple illnesses. Choosing palliative care does not mean choosing hospice, as the goal of palliative care is to help chronically ill individuals maintain their routines and day-to-day life as much as possible. Hospice of Chattanooga is also the only provider in the region with a dedicated team to provide hospice care to infants and older children who may be dying from a disease or injury. It is a service of which many people are not aware. As the only not-for-profit provider of hospice services in this region, Hospice of Chattanooga relies on fundraising activities throughout the year so it can guarantee services to all. Money is raised through events in the communities served as well as an annual Gala. They also rely on the generous donations from individuals and businesses. After celebrating its 35th anniversary in 2016, Hospice of Chattanooga is now transforming into an even more community-care focused model. Team offices are being establishing throughout their service area to better respond and serve those who choose hospice care for themselves or a loved one. It is a model that will help them provide 5-Star hospice care for another 35 years!